We love hearing stories of women inspired by other women! 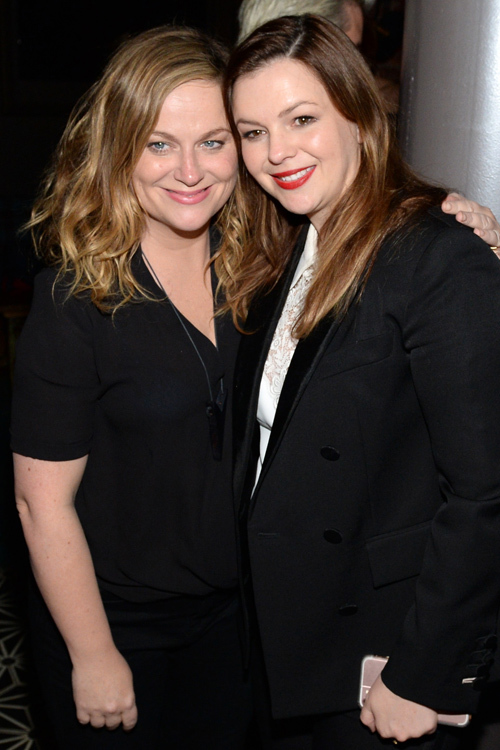 Our most recent example is Amber Tamblyn, who says Amy Poehler inspired her to direct Paint It Black. On Monday, Tamblyn celebrated her directorial debut in New York City. As she walked the red carpet, she couldn’t help but talk about the women who helped her get there. Her new film, Paint It Black, took inspiration from several places, but Poehler was number one for the Sisterhood of the Traveling Pants alum. Paint It Black is based on Janet Fitch’s 2006 novel by the same name. The movie is directed by a woman and was adapted from a novel by a woman. Clearly, there was a LOT of girl power going on with this project. 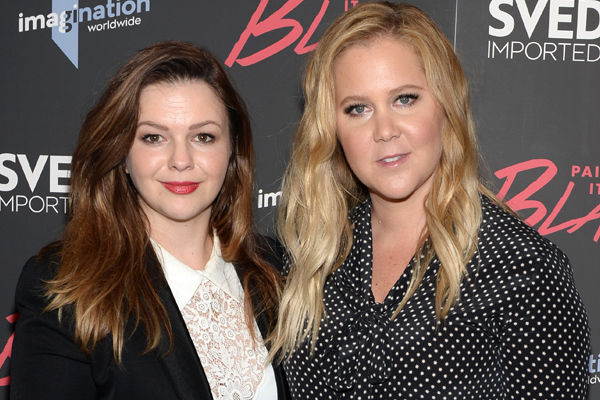 Amy Schumer attended the premiere as well, and according to Tamblyn, she was another source of inspiration. “I really I adore her, and she’s amazing, and she’s somebody that fills me with a lot of joy,” the actress said about Schumer. “We support each other and give each other a lot of love,” Tamblyn said after revealing that the two have a group text going with Lena Dunham. It sounds like all women named Amy in Hollywood are the people to talk to if you’re in the market to direct! Of course, the lovely Amys weren’t the only two friends in attendance at the NYC premiere. 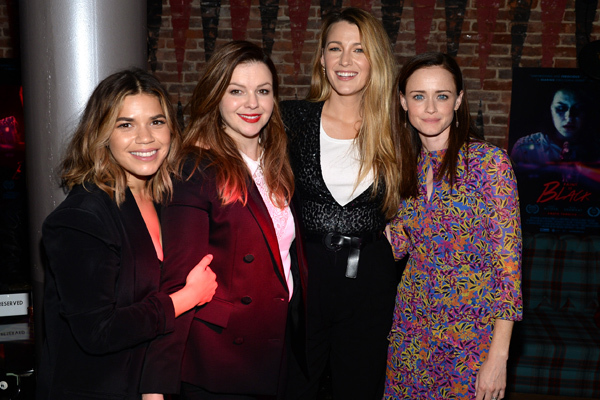 Tamblyn’s longtime BFFs and fellow Sisterhood of the Traveling Pants stars were all there to celebrate her accomplishment. Blake Lively, Alexis Bledel, and America Ferrera spent the night laughing and rejoicing with their friend. It was seriously the cutest Sisterhood reunion yet! To see the new mother’s directorial debut yourself, check out Paint It Black, when it hits theaters on May 19th.